True farmers are unfortunately a rare sight nowadays when everything is industrialized, automatized, and digitalized. However, there is one great upside of the new, modern era – with digitalization, new forms of dating and matchmaking came and online dating is the best manifestation of that. Today, if you want to meet single farmers, you just have to click or tap a few icons and a farmer dating website, such as the one we are presenting in our Farmer Dating Service review, will help you find companionship, friendship, and true romance. First impressions are important and we have to say that Farmer Dating Service made a decisively positive one. The website is a very simple dating platform. Its message and purpose are even simpler – this website is here to match single farmers and people who are interested in meeting them. Simple as that. We have to say, from what we saw, it’s definitely working. 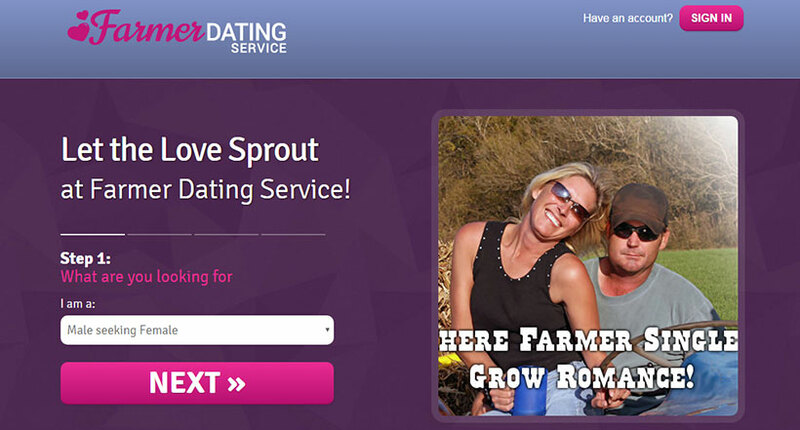 The design of Farmer Dating Service is pretty plain and unpretentious. There are some pics of happy-looking couples riding in tractors full of hay and similar idyllic images from the American countryside. The color palette is simple yet pleasant, with prevailing lilacs, blues, and off-whites. We were pleased to notice all the fonts are pretty big, so no one should have any difficulty reading them. There is not a lot of content or too many features on the website, it’s pretty stripped down and easy to use. 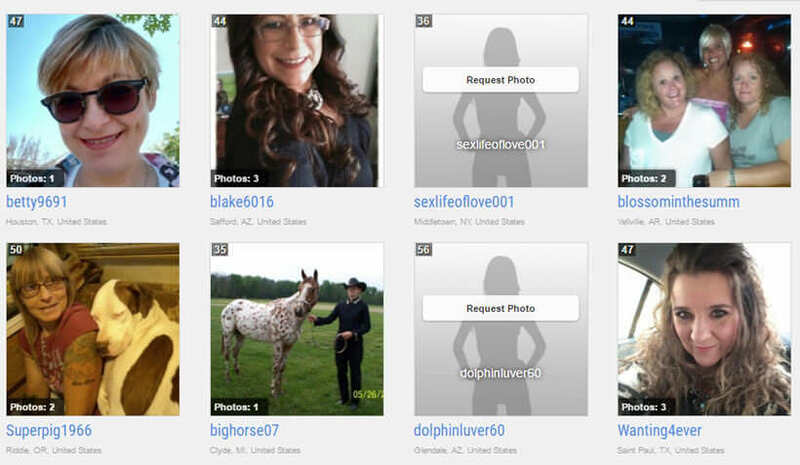 Speaking of the site’s ease of use, this is one of the best things about Farmer Dating Service. Literally anyone who’s ever spent more than half an hour online can use it. All the functions and features are clearly marked and placed in easy to find locations. Signing up is incredibly fast and easy and so is creating and updating your profile. Really, everything on this website is very light, quick, and highly functional. Farmer Dating Service includes all the basic functions you could need from a dating website. After you sign up, you are asked to complete your profile and upload some pictures. In addition to posting pics, you can also upload videos of yourself or anything else you would like your potential suitors to see. Members with a free account can update a profile and post pictures, browse other user profiles, and send and receive flirts. Other features, such as e-mailing, are reserved for those with a premium account. Farmer Dating Service also has chat rooms, which is great news for those who like this direct and dynamic form of communication. There are also the so-called flirts, which you can send to anyone you like. When you see a single farmer you like, you have a number of options – you can send an e-mail, a flirt or you can add them to your favorites, which is a list of user profiles you liked and would like to get to know better. From what we saw as we explored this website for the purposes of this Farmer Dating Service review, this place has a pretty solid membership base. There are a lot of people of all ages, from very young to the elderly, from all across the United States. This website is open to everyone, regardless of the location, so you’ll see folks from other countries of the world as well, but the majority of users is still from the US. There might be a slightly higher number of men compared to the number of women on Farmer Dating Service, which may have something to do with the fact there are more male farmers out there in general. Still, there are a lot of ladies on the site and it definitely does not feel like a boys club. Members of Farmer Dating Service are people who crave love, affection, and companionship. There are some actual farmers but there are also plenty of those interested in meeting a farmer and learning more about the lifestyle, maybe even moving to the countryside. Farmer Dating Service is one of the best farmer dating websites you can find not just because it’s highly functional, reliable, and easy to use but also because of the site’s amazing and ever-growing community of honest, open-minded singles. Your next farmer romance may be just around the corner and that’s why you should definitely give this site a shot. I read other reviews because I wondered if anyone would actually say it how it is. No one has so I suppose they’re writing their own reviews. This is from an Australians perspective. Most members that have been online in the last 2 weeks (about 2%) are actually mainly American. Don’t go international if you are tired of scammers I say. But all the nice Aussie chicks hadn’t been online for 2 weeks. There are so many commercials moving amongst the profiles that it’s nearly impossible to click on a profile without clicking a “date a cowgirl” adv. and being redirected to one of their many affiliate sites. . 2 out of 3 profiles I made contact with turned out to be scammers. I stumbled upon this website by accident, actually by mistake (I thought it was something else) and then I decided to give it a go. I love spending time on it, the ladies are very nice and friendly, no one is ever rude or obnoxious, and we all have so much in common. It’s definitely one of my top 10 favorite websites on the Internet. Excellent website for meeting your country girls.